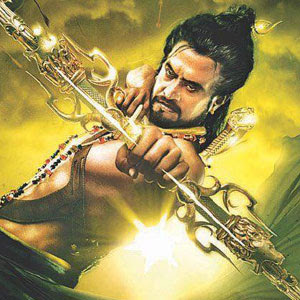 Rajinikanth-starrer upcoming and much awaited film of this year Kochadaiyaan is busy with its post production works at fast pace. Rajini will fight with Sharks in an action scene in the film. Director of the film Soundarya Rajinikanth cleared the air by informing that Rajinikanth will be fighting with Dolphins in middle of the sea where ships and people also present. Deepika Padukone, Aadhi, Shobana, and Nassar are playing vital roles in Kochadaiyaan film. A.R.Rehman is rendering tunes for the film while K.S.Ravikumar scripted the story. Sunil Lulla is producing Kochadaiyaan under Eros Entertainment banner.